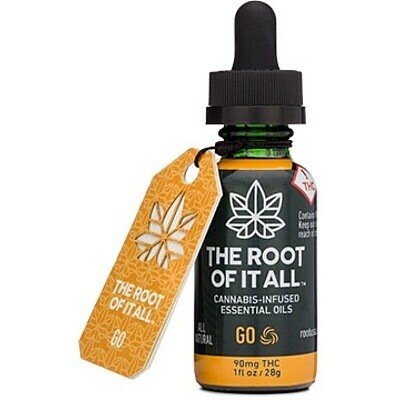 THE ROOT OF IT ALL- Go Essential Oil Tinctures, Order Weed Online From East Of Eden Cannabis Co.
For Energizing// 1 oz// Get moving the natural way with GO for energy. This essential oil is derived from a specific strain of sativa with 90mg THC to give you a boost of energy. Easy to use and a delight for the senses, GO is a infused with Ayurvedic Ingredients: Cardamom, ginger, and rosemary; known to encourage warmth, alertness and energy. Gluten free, Vegan, and Allergy Friendly.